Prepare her for a lifetime of leadership. Register your girl, or start a troop today! Learn how girls are using their digital experiences to improve their lives, their communities, and the world. This research report explores how girls—and Girl Scouts—exhibit leadership in the digital world. Read the full report. Were you a Daisy? Brownie? 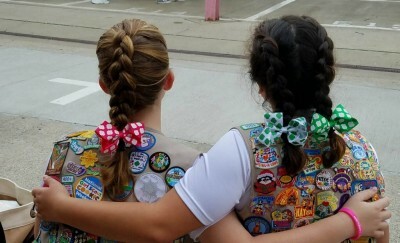 If you shared in the Girl Scout Movement and experience for any length of time, then you are a Girl Scout alum. We’re planning a handful of alum gatherings across our 26 counties to share and celebrate Girl Scouts of all ages, and discuss what we can all do to support the mission of Girl Scouts today and into the future. And we want YOU to be there.